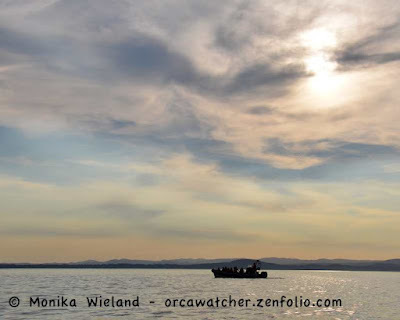 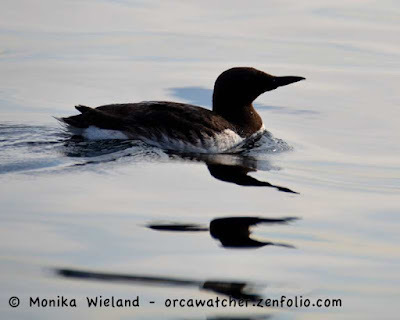 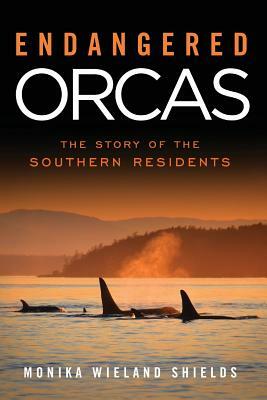 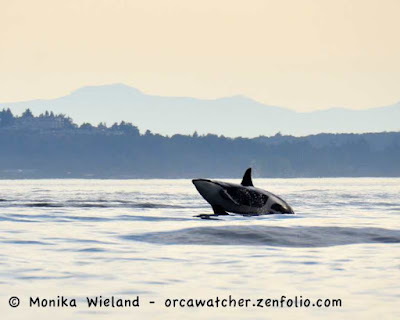 Orca Watcher: August 17th: I finally see K21! By mid-August, the L54 sub-group was the only Southern Resident group yet to come into Haro Strait this summer, but there was one other whale I hadn't seen yet this summer: K21 Cappuccino. 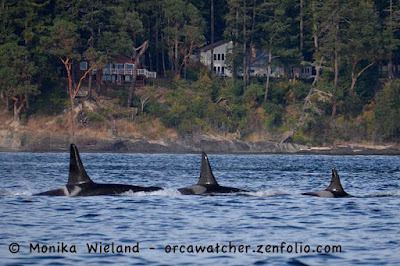 He's not around as much as the rest of K-Pod, but he had been seen numerous times, and I had even seen his regular traveling companions K16 Opus and K35 Sonata. 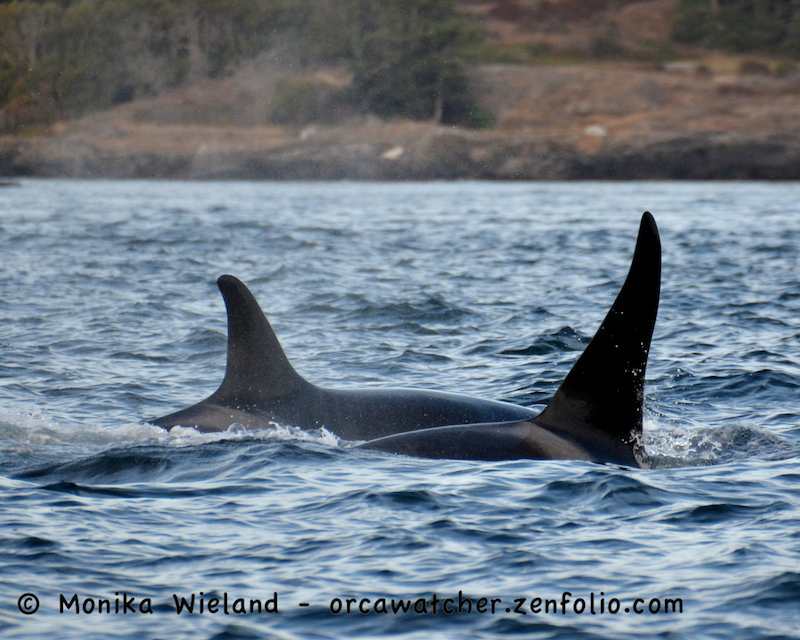 I couldn't imagine I would go the whole season without seeing him - I've always managed to see everyone in the population at least once. 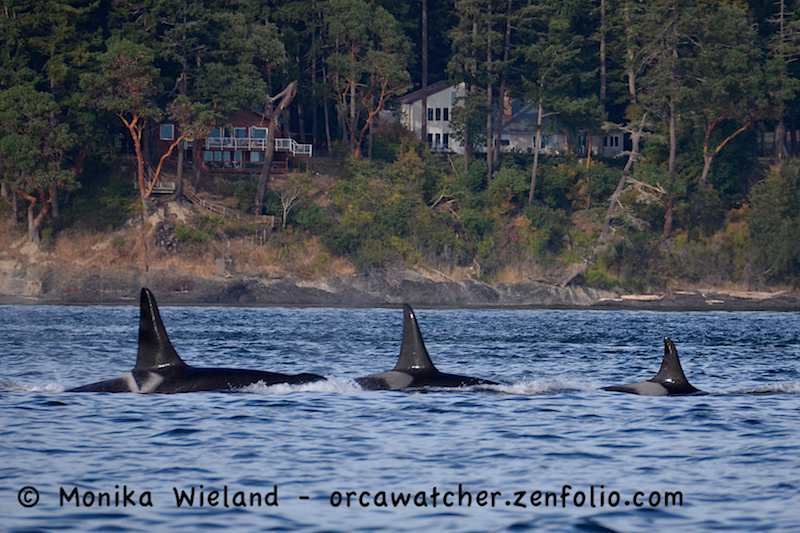 Finally, on the evening of August 17th, we came across a trio of whales right near Open Bay - and it was K21 Cappuccino, K16 Opus, and K35 Sonata. 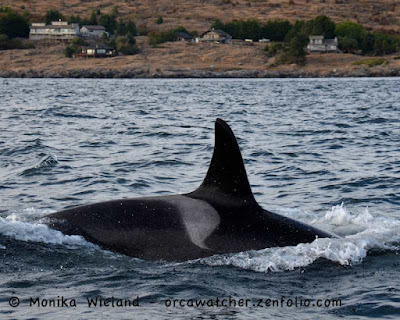 Cappuccino - such a striking whale! The whales were really spread out. 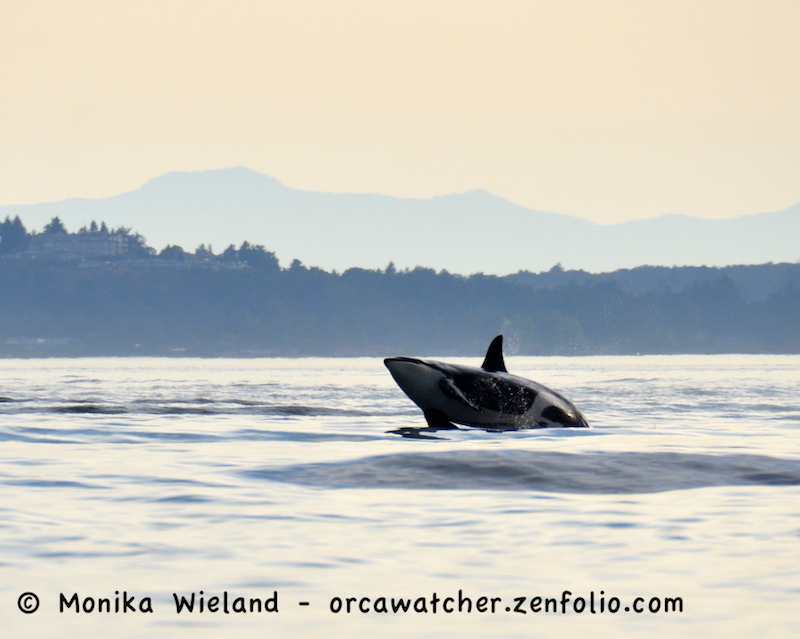 There was another individual traveling well offshore of us, but after a fleet of Canadian Naval boats left a huge wake, he got active surfing the wake and breaching several times. 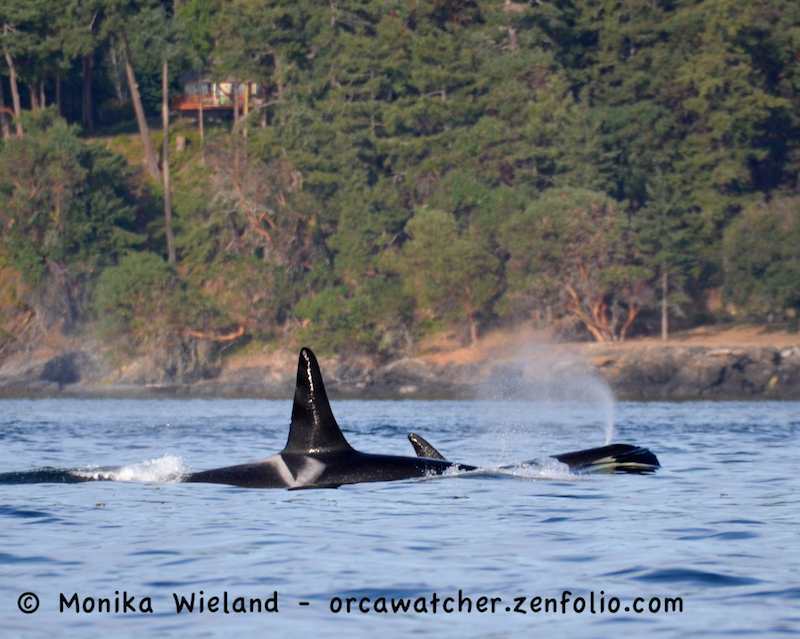 The last group of whales we saw before heading in was the K12 matriline - here are K22 Sekiu and K33 Tika, two whales I've gotten to spend a lot of time with this summer. It was another beautiful summer evening on the water!